Learn Paranormal Investigating Techniques PLUS 3-Hour Investigation! Saturday October 15, 2016 1 p.m. - 1 a.m. Ever Wanted to Learn How to Investigate--Getting the Most of Your Time and Equipment? Want to Control Contamination to Be Sure the Evidence YOU Collect is Authenticated? 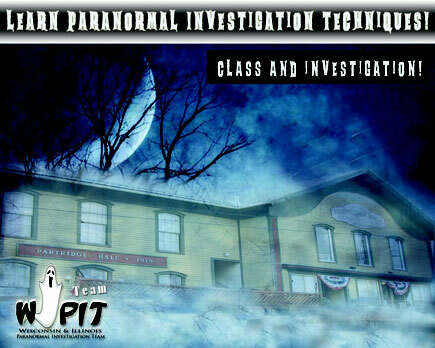 PLUS.....the opportunity to use the techniques you learned in a known haunted location--Partridge Hall!